About a month ago my girlfriend and I went to Antwerp to relax, do some tourism, and try some new beers. 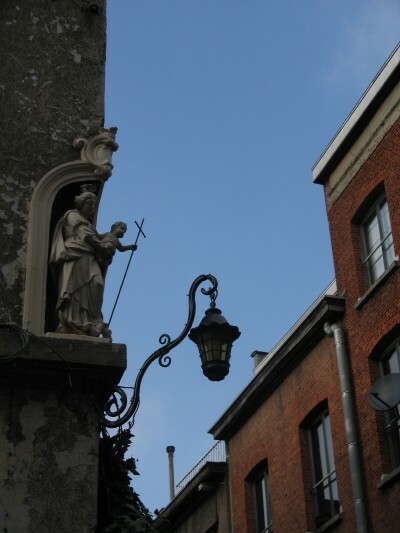 Antwerp turned out to be perfectly suited to all three pursuits. The city isn't too big—a little smaller than Oslo—and the city center is very compact, and packed with historical buildings. The size is deceptive, though. 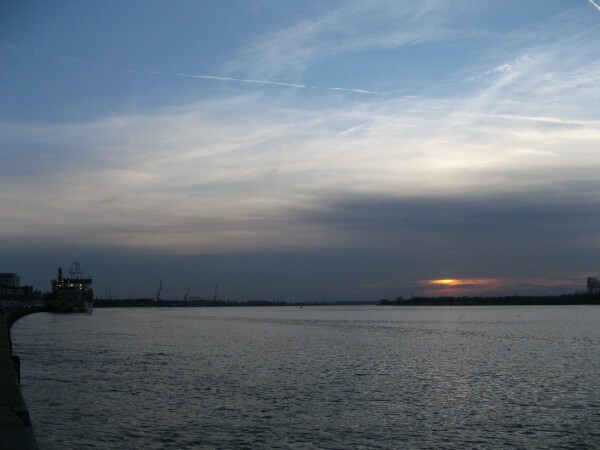 Antwerp is one of the world's biggest ports, and has been a world center of trade since the 16th century. In fact, for a while in the 16th century Antwerp was northern Europe's second biggest city, before its role as a trade center was taken over by Amsterdam. This historic role is visible in the magnificence of much of the city's architecture, especially the cathedral (the biggest in the Low Countries) and the guildhalls on the main square. The ravages of time can also be seen in the presence of some truly hideous boxy apartment buildings here and there, as well as some spectacularly unsuccessful office buildings. In the historical city centre these are exceptions, thankfully, but it didn't make me very keen to see the suburbs. We wandered around the city centre for a while, and spent most of our time on the cathedral, the small castle by the river, the riverside area, and the middle of the old town. After that we turned to more interesting things, like the beer bars. Antwerp has an impressive number of bars with a pleasant old-world athmosphere to them, as well as excellent beer menus. However, in Antwerp there is one beer bar that far outshines all the others: the aptly named Kulminator. The most unusual thing about this place is not the extensive beer menu, although of course the menu is very extensive, but that they sell vintage beers. Kulminator opened in 1979, and they have been storing beers ever since. The result is that you can order beers dating back several decades, and sometimes the breweries that made the beers have closed up shop years ago. With a beer menu like this, the place is of course famous among people in the know, and so I was really looking forward to a visit there, without really knowing what to expect. We spent some time digging through the menu, and had the same experience I remember from every time I go to a place with a huge menu. There are so many good beers, and so many rare beers, it's really difficult to know which one to pick. Add up to 20-30 vintages of some beers and you can get a headache before you even start drinking. In the end I settled for a real rarity: a Courage Russian Imperial Stout from 1983. 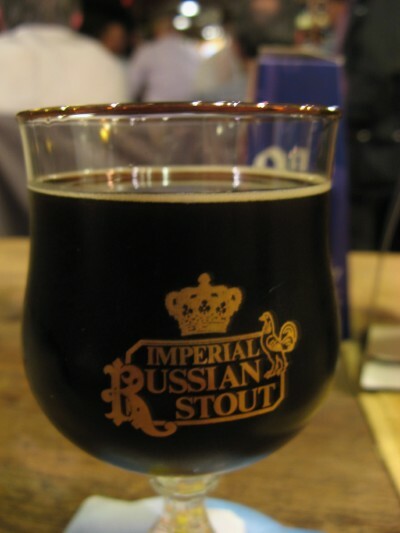 I didn't know much about it, but Imperial Stout is one of my favourite styles, and I knew the brewery was closed. Although this was a foreign beer from a long-closed brewery they still served it in the right glass, which is quite impressive. The beer was 24 years old when I tasted it, and I'm really impressed that it held up so well after so many years. It was pitch black, as it should be, with no head (because of age, no doubt). The aroma and taste were both very complex, but dominated by plums, sherry, and wild berries. I gave it a 4 out of 5, which is a very high rating. My girlfriend chose a de Dolle Stille Nacht from 1996, which also turned out to be a good choice. Later on I tried Westvleteren 6, which is no longer made. Westvleteren beers enjoy an almost legendary status, partly because they really are very good, and partly because the monastery that makes them produces only what they need to sell to keep the monastery going. All in all, it was a memorable evening, and a very nice weekend. There probably is more to Antwerp than we saw, but what we covered in one weekend was definitely worth the trip. Man, we are just checking to go for this cafe. thanks for the information. The beer selection seems comparable with other pubs I've been at. Great beer, if the ability to purchase bottles is important. The focus of the night wasn't necessarily these arbitrary bottles, rather that the white haired figure that insultingly prevented myself and others from leaving. I was at a party that was clearly covered by others present. The white haired guy freaked out and stood in front of the door and locked it, preventing guests from leaving, only to 5 minutes later receive the few hundred euros for the drinks drunk. Firstly, don't wig out over a few hundred euro, you're probably not a very good businessman, if this much is so important to you. Second, it is probably illegal to trap your customers in your pub by locking the doors. Extremely bad form, and absolutely inappropriate. I'll never come again. I feel like we get your point you had a bad experience. Posting the same text on every blog you see isn't doing anyone very much good.